Have you driven a 1986 Chevrolet Chevette? Displaying all 3 1986 Chevrolet Chevette reviews. Chove-it — Performance - manual breaks, manual steering, am radio. Build Quality - a tank Appearance - lol but practical, 4 dr hatch Cost of Ownership - I could get any part for $20, did matter what it was. Fun Factor - no fun, scary as hell to drive, kind of like going down hill in a shopping cart - same breaking power. 1 of 4 people found this review helpful. 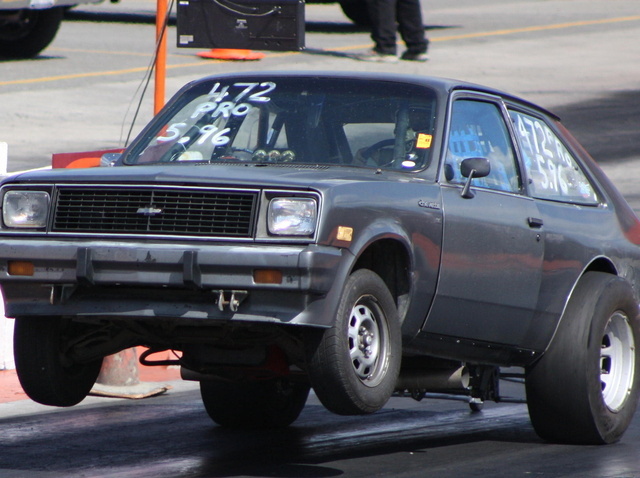 Looking for a Used Chevette in your area? Chevette 1986 Alchool — Just an ordinary primitive car, nothing fun, just an ugly car. I hated it, was ugly, old conservative design, and the worst of all : carburetor/alchool fuelled , an archaic combination leading to frustration by the suffering to start the engine ang get it pre-heated before moving off . The Nuts And Bols — My first Car, easy to work on, not much on power. No power steering,windows,doors...but hey, it was a free car. couldnt complain. WAS A TANK! Had a small gas tank. Took forever to get up to speed and yet got myslef and my brother to and from college, so it did its job.